Grenada continues to attract very low yields on its short-term debt instruments as its latest auction yielded an interest rate of 1.9% with its re-issue of a treasury bill on the Regional Government Securities Market (RGSM), for the second consecutive year. The securities were competitively auctioned on 14 March 2019, and due to the high demand by investors resulted in a total of $26.4 million in bids, an oversubscription of $11.4 million. 3 licenced brokers placed a total of 11 bids, ranging from $15,000 to $7 million. This is a clear indication of investors’ interest in the secure investment climate that now exists in the tri-island state. 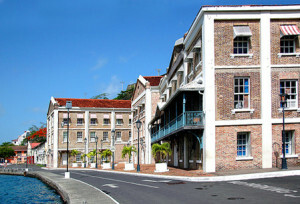 This successful auction and the continuous low yields of Government of Grenada’s Treasury Bills are a direct result of local, regional and international confidence in the management of Grenada’s finances and the perception of prudent financial management and consistently reduced risk of investing in Grenada.